Share more stories at the Book Stop! 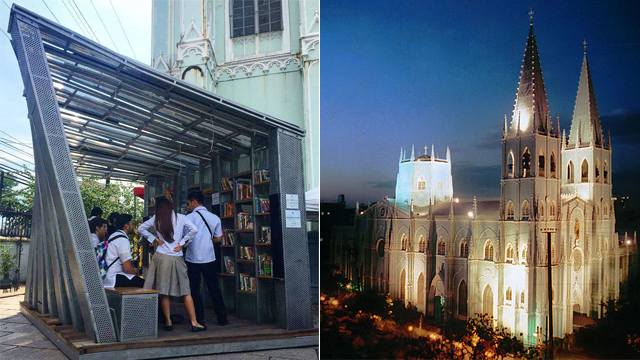 (SPOT.ph) After its success at the Ayala Triangle Gardens and the Manila Cathedral in Intramuros, the bite-sized pop-up library is moving again. The Book Stop can now be found at Plaza del Carmen, right in front of San Sebastian Church (a.k.a. Basílica Menor de San Sebastián) in Quiapo, Manila, where it opened on July 18. The Book Stop's mission is to encourage reading and passion for literature through exchange of books and ideas in a dynamic space. Now, San Sebastian is not just any other church. From its design to execution, it was an international collaboration. Its designer was Spanish, three million pounds of metal were forged in Belgian foundries, its foundations were built by a Frenchman, the floors by a Chinese, and the foreman was British. 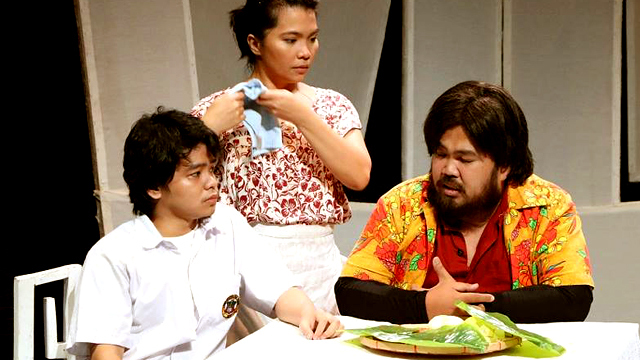 Filipino craftsmen and laborers were also part of its creation. Completed in 1891, it is the first and only church in the Philippines that is made entirely of steel. The Book Stop will also host a series of free movie screenings from July 21 to 30, every 7 p.m., called Cine Y Literatura: Great Books on the Screen. Scheduled for the month are: El Caballero don Quijote (July 21), El Abuelo (July 23), La Colmena (July 28), and La Lengua de las Mariposas (July 30). Admission to Cine Y Literatura: Great Books on the Screen is free on a first-come, first-served basis. 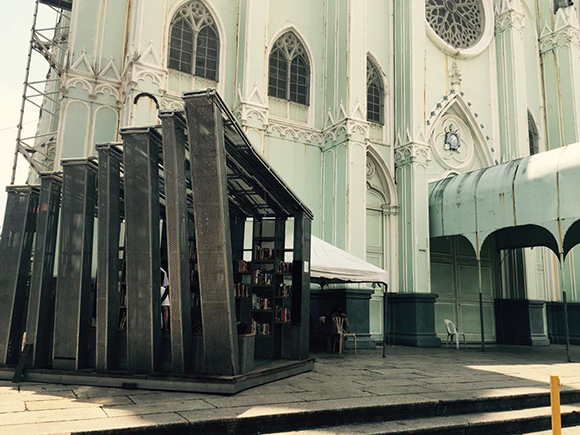 The Book Stop is at Plaza del Carmen, C.M. Recto, Quiapo, Manila until September 18. For more information, visit The Book Stop's Facebook page.